Below is a collection of some handy tips to use on your Chrome browser. These are basically simple hacks to help you make the best of your Chrome experience. While we have included only instructions on how to use these tips on Chrome for the web, we have also provided links to pages with more details on how to use them on mobile devices (iOS and Android). Some of the the things you will get to learn from this collection include: how to conduct quick online search using Chrome address bar, how to remotely access another computer using Chrome Remote Desktop, how to customize your privacy settings, how to access your bookmarks on different devices, how to autofill your info in forms, how to browse the web in pirate and many more. Chrome allows you to conduct quick online searches by simply typing your search query in the address bar of your Chrome window. As you start typing your search words, Chrome will show you suggested links and search phrases. Additionally, you can search words and images on any web page opened in Chrome. You simply highlight a word or phrase, right-click on it and select one of the followings from the pop-up window: ’Search Google for’or ’Search with Google’. 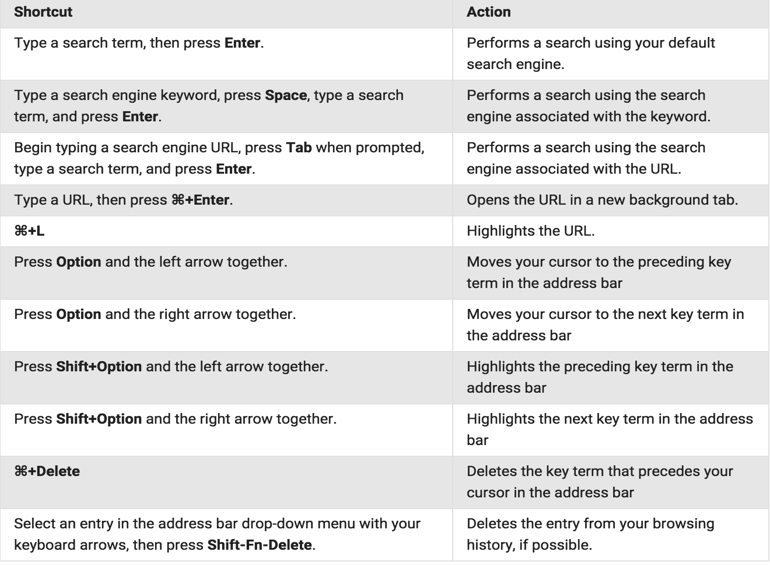 Keyboard shortcuts allow you to quickly perform different tasks on your Chrome. 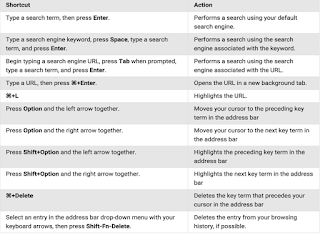 These shortcuts are arranged into four main categories : tab and window shortcuts, Chrome feature shortcuts, address bar shortcuts, and webpage shortcuts. They are also available for Mac, Windows and Linux. A new window will open with a gray figure in the top-right corner . In the top right, click the Menu Chrome menu. In the "From" drop-down menu, select Bookmarks HTML file. In the manager, click the "Organize" menu. ‘On your computer, open Chrome. To manage how Chrome handles content and permissions for a site, click Content settings. To delete information about the websites you've visited, click Clear browsing data. Type chrome://apps in your address bar and press Enter. Under "My Computers," click Get started.